My life feels completely out of balance right now! 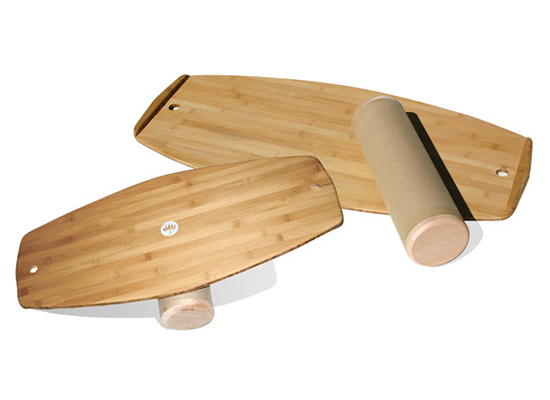 Maybe I need to figure this out literally, and with Birdie’s help, by using a gorgeous balance board like these LotusBalance Boards. If you’re looking for a combination of beautiful cutting board, bamboo eco-friendly surface, and lots of balancing function, I think you’ll find it right here. 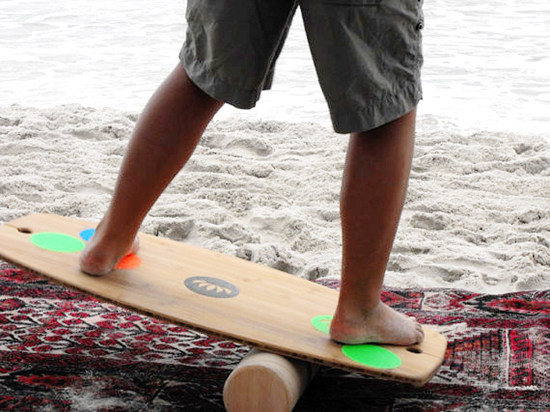 LoutsBalance Boards promise fun times and balancing help from kids through adults, and on their website boards are available in different sizes and in maple too. I’d want to get the extra handles for Birdie – and maybe for me! 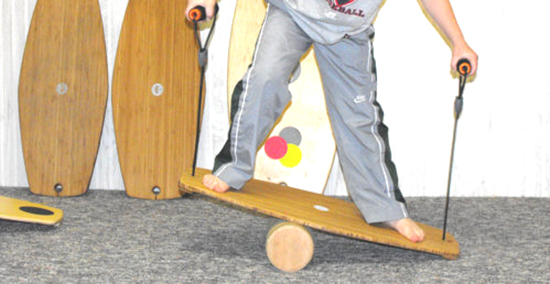 – to help with beginning balance skills. All of the balance boards are on sale right now – I believe until Friday! Do you think this would help indoors on those stir-crazy rainy days? True, and true! Great ideas. When I was a kid I would watch tv and balance on a board like this my balance is great from it. Awesome way to make tv time count for something!